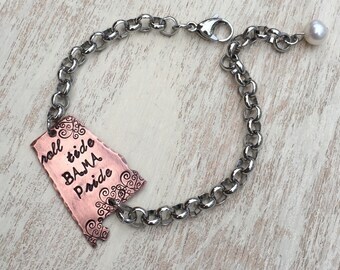 Home of the birth year penny bracelets! Announcement Shop with us at MAIN STREET FESTIVAL in Franklin, TN, April 27-28! Why are we so fast? Every item is already made and ready to ship via USPS Mail. Order by noon Central time M-F for same day shipping! No kidding!! 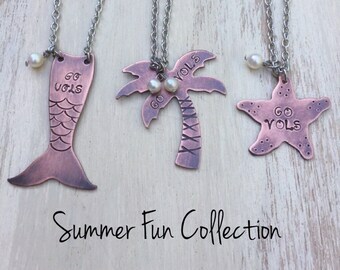 Shop with us at MAIN STREET FESTIVAL in Franklin, TN, April 27-28! Why are we so fast? Every item is already made and ready to ship via USPS Mail. Order by noon Central time M-F for same day shipping! No kidding!! 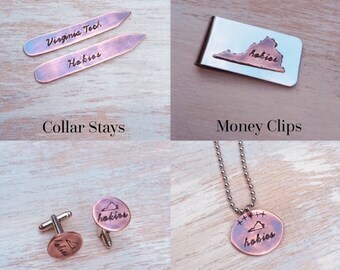 Silk tassel necklaces with hand-stamped copper. We make keepsake jewelry from silver Mercury dimes, buffalo nickels, Indian head pennies, V nickels and wheat pennies. 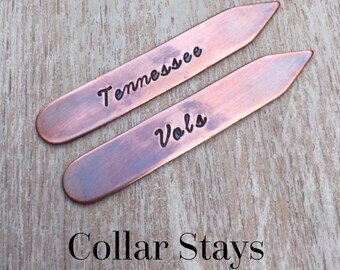 Hand-stamped, hammered and patinaed copper. Look for the pink and green double booth!! 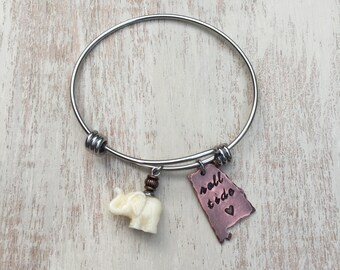 The home of beautiful Southern jewelry handmade in Piedmont, Alabama! I live in a quaint little town in Alabama where everybody knows everybody. I love designing and making all kinds of jewelry. The penny bracelets are our best seller, but making the leather cuffs is probably my favorite job. I love working with copper and have recently added torch-fired copper to the shop inventory. My husband and I love traveling and doing art festivals. We meet a lot of interesting people while exploring new places. It's wonderful to have a hobby that we both enjoy so much. I hope you like what you see in my shop. I have always loved making things. Designing cuffs is a favorite of mine. My husband helps me and we love to travel and have a blast doing art festivals. Find BlueWillowBracelets at the following upcoming markets! This is a huge arts and crafts show held on the streets of beautiful downtown Franklin, TN, just outside Nashville! A great one day festival in downtown Carrollton, GA around the town square. Fabulous event to bring your Mom and Grandmother for Mother's Day to shop wonderfully unique gifts made just for them! A great one day festival in downtown McDonough, GA around the town square. Start your Christmas shopping early!! This is a great arts and crafts festival with unique handmade items from around the south. 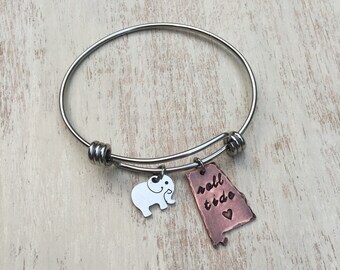 Thank you for shopping at Blue Willow Bracelets. If you can't find what you're looking for, please message me and I will see what I can do. If your wrist is larger or smaller than average, please contact me before you make a purchase and I will see if the bracelet you want can be altered to fit you (at no additional charge, of course).